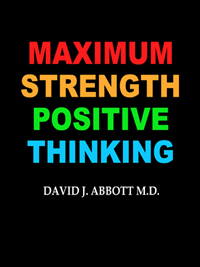 QUANTUM EXPECTATIONS - I RECEIVE WHAT I EXPECT - ASK AND YOU SHALL RECIEVE - SEEK AND YOU SHALL FIND - DAVID J ABBOTT M.D. The God who created the infinite universe also created you in his image. 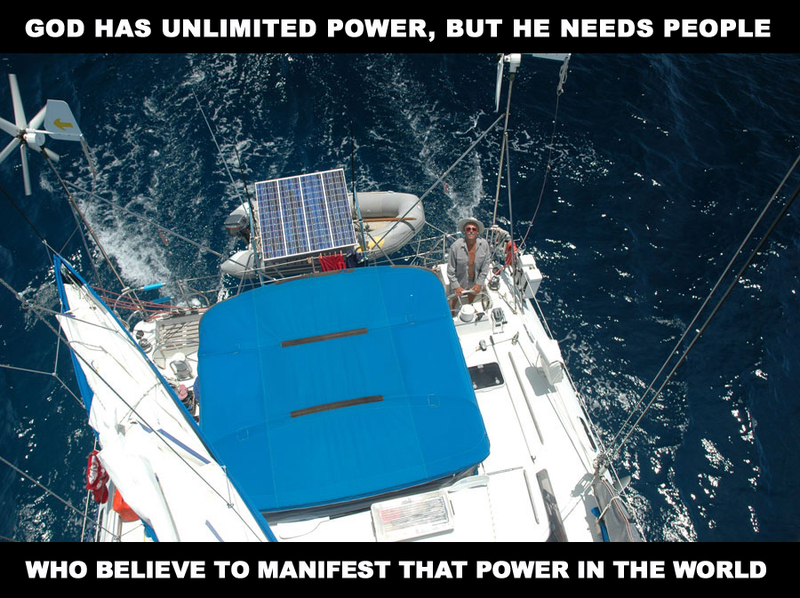 He did not shackle you with limitations, but instead gave you the capacity to have quantum beliefs. He gave you the ability to think and act your life into existence. He gave you the power of quantum beliefs, quantum expectations, and quantum change. You have the ability to make your life into what you want it to be. 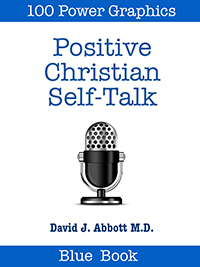 You can get in agreement with God about who you are and what you can do with your life. There is no limit to how good your life can become when you get your quantum beliefs right. Although Jesus was born 2000 years before scientists discovered quantum theory, Jesus had already been living the quantum life. Everywhere he went he told people, "As you believe, so shall it be done unto you." This simple statement forms the foundation for your quantum existence. What exactly is the quantum life? Most people don't know about quantum life. They look at life as a smooth timeline stretching from birth to death. It has its ups and downs, but for them it is a smooth curve that moves relentlessly forward and gradually gets better or worse. The quantum life is much different. People who live the quantum life do not have a smooth timeline. For them life is a series of quantum jumps that happens each time they adopt a new quantum belief. Their timeline is like a set of stairs in which they jump from level to level. Does it really matter how you view your own timeline? It matters a great deal because a linear existence provides a false and impotent model for human change. Trying to live the linear life is more than doing things the hard way, it is doing things the wrong way. You can't tweak your way to positive future. Big changes don't involve tweaks. They involve jumps. When you adopt a new quantum belief, you change your agreement with life, and you instantly jump to the next level. Nothing gradual happens in the quantum life. You jump from one level to the next with each new quantum belief. 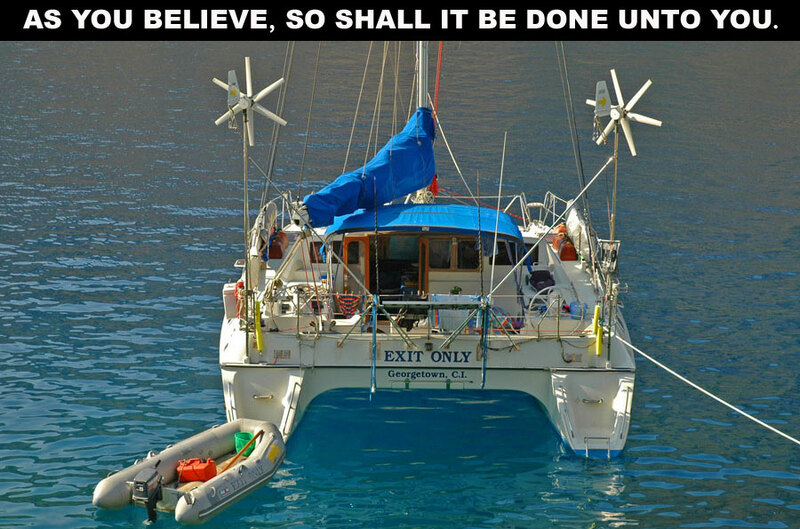 That is exactly what Jesus meant when he said, "As you believe, so shall it be done unto you." He was not tweaking your life. He was transforming it to a new level. He was saying that your timeline is not a gradual experience. Every time you adopt a new belief, you make a quantum leap that takes you to a new level. When Jesus healed people, it was always a quantum experience. People instantly went from sickness to health. God created a quantum universe in which quantum beliefs rule. Jesus was in the business of transforming lives rather than tweaking them. Sick people don't want a small tweak so that they feel better. They want quantum health with complete healing. Prisoners don't want a small tweak that helps them adjust better to life in prison. They want freedom. Addicted people don't want to tweak their addictions. They want complete and total release. In my work as a physician, I meet many individuals who formerly were drug addicts and now they are clean. Every single person stopped using drugs when they had a change in their beliefs and made a quantum leap to a chemical free life. None of them tweaked the addictions out of their lives. When people have real problems, quantum beliefs rule because personal transformation is a quantum change. The Quantum Cascade shows how quantum change happens. Quantum beliefs create quantum expectations that result in quantum change. It's a simple cascade that starts out with new beliefs and finishes with new life. Old things pass away, and all things become new. The cascade starts with Quantum Beliefs. All beliefs are not created equal. Lots of beliefs keep you exactly where you are and maintain you in a holding pattern. By the time most people reach 21 year of age, their beliefs are set in stone, and they will never develop a quantum belief for the remainder of their lives. Quantum change is incremental rather than gradual. The moral universe has laws just like the physical universe. If you drop a stone, it always falls down, and it never falls up, because that is the way the physical universe works. The law of gravity makes it happen. In the moral universe, change is incremental. Even small changes are incremental. Change may appear to be gradual, but when you look closely, there was a shift in a person's beliefs that permitted them to jump to the next level. Nothing happens gradually in the moral universe. While your beliefs may change gradually, the instant you adopt a new belief and act on that belief, your life is never the same. You are a new person with a new life. You made a quantum leap to a new level. Getting ready for change is the hard part. People dither and delay when they should be living their dreams. Adults will do almost anything to avoid making a change. They may take days, months or years to get ready for change. But once they adopt new quantum beliefs, quantum change happens in an instant, and they jump to a new level. People who accomplish great things know that quantum change is instantaneous, and they make it their business to adopt new quantum beliefs as fast as possible. They don't struggle with change and fight against it. They welcome it because they know it is the only way they will be able to jump to the next level. They look for problems and solve them. Each new solution provides the power to make a quantum leap to to a new life. Change takes a long time because people take such a long time getting ready. 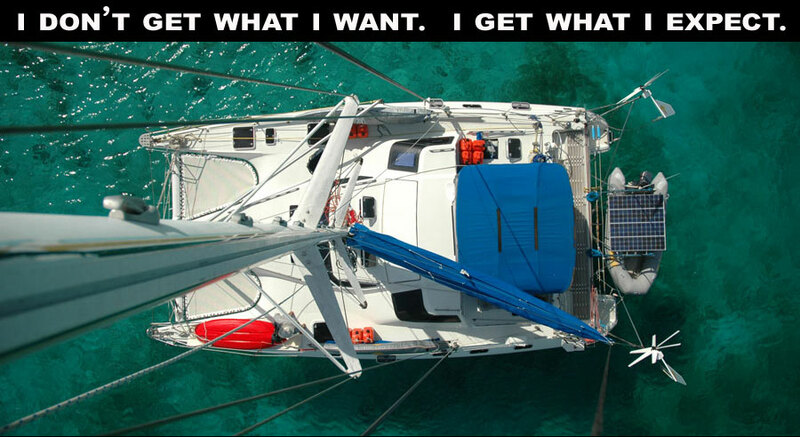 When I decided to sail around the world on a yacht, it was more than twenty years before I was ready to make the quantum leap to a circumnavigation. I had lots of good reasons why I could not do it for each of those twenty years. But when I was ready to go, I instantly jumped to a new level, and I started my sailing voyage around the world. 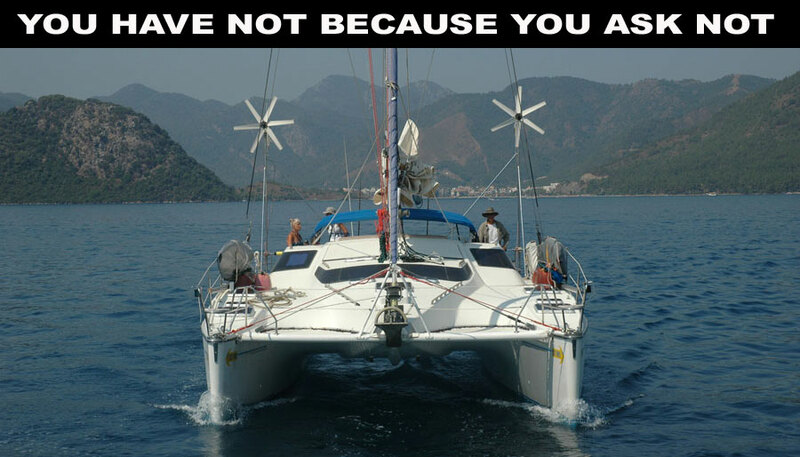 I could have sailed around the world on my Privilege catamaran, Exit Only, many years before. But I did not have a quantum belief that made the jump possible. I didn't have quantum beliefs that made the sailing voyage a reality until I was forty-seven years old. Quantum change rules your personal universe. You need to stop thinking about change as a gradual process, and prepare yourself for quantum leaps that take you from level to level. You need to develop quantum beliefs that make quantum change possible. Jesus was not selling pipedreams or playing a cruel trick on humanity when he said, "All things are possible to him who believes." Jesus was describing the inner workings of the moral universe. The moral universe runs on belief. Beliefs are the fuel that provides the power for everything you do. They point you in the right direction and give you the power to make the trip. If you get your beliefs right, there is no limit to how good your life can become. The size of your beliefs determines the size of the change whenever you make a quantum leap. Quantum change cannot be any larger than your beliefs. The magic of thinking big reveals itself in the world of quantum change. People who have large quantum beliefs make big things happen. The size of your beliefs is the limiting factor in the cascade of quantum change. Small beliefs don't make large changes. Small beliefs create small expectations which create small changes. Large quantum beliefs create powerful expectations that bring massive change into your world. God placed the gift of quantum change in your heart and mind at the moment of your birth. You didn't need any special instruction in how to make it happen. You performed effortless quantum change on a daily basis. Change was your way of life. Nobody needed to tell you, "As you believe, so shall it be done unto you." You didn't even need to think about quantum change. You did it naturally. It was programmed into your DNA. Unfortunately, the world conspires to snuff out quantum change, and by the time you are eighteen years old, you have stopped believing that change is possible. You have heard the words no and impossible so many times that you believe their limiting message. Quantum change becomes an ancient memory, and before long you forget it even exists. The world erases it from your mind. You stop dreaming great dreams and quantum beliefs no longer work their magic in your life. Limited and infrequent change are the hallmark of adulthood. Adult beliefs are set in concrete, and adults resist quantum change. Most adults believe that change is impossible. After all, you can't teach an old dog new tricks. And they are right. You can't teach an old dog new tricks using the same limiting beliefs that have imprisoned him in the dog house year after year. But it doesn't have to be that way. Although you might be out of practice, if you are still breathing, you can fire up your quantum dream machine, and start making new dreams come true. You can adopt new quantum beliefs, develop awesome quantum expectations, and instantly leap to new levels. Adults need to understand that change is possible. They are not stuck in Nowhere Land. They can make a quantum leap as soon as new quantum beliefs take over their mind. When Jesus talked to children, he didn't need to tell them to take quantum leaps. For them it was as natural as breathing. It was the adults who needed to be told that quantum change was possible. That is why Jesus told them, "As you believe, so shall it be done unto you." You may worry that the only changes you can make are small ones. It seems like there is zero chance to make a massive quantum leap into the world of change. Worry no more. Small quantum changes add up over time, and small changes are more important than large ones, because small ones make the big ones possible. The size of the change is unimportant. It's the frequency of change that really counts. Your growth is proportional to the frequency of change. When you make lots of small changes, you are exercising you quantum muscles, and exercise makes them grow stronger. Small changes are like an injection of anabolic steroids, and your quantum muscles rapidly increase in power. It's the number of repetitions that count. You make small changes until those small changes start making you, and then you move on to bigger things. Your quantum muscles start bulging and before long you are making massive quantum leaps. But you have to start to small. You can't skip the small. Without the small, you will never become big. When Jesus started his ministry, he didn't talk about gradual change or tweaking your life here and there to create marginal improvement. Jesus had a radical quantum message. Jesus believed in quantum change. He talked about being born again. His quantum message made you into a new person. Old things pass away and all things become new. He talked about good news for the poor. The only good news the poor ever want to hear about is prosperity, and Jesus told them that real blessings are on the way. Jesus told prisoners that the freedom train was coming. Prisoners do not need a pat on the back and a cheerful word to make it through another day. They want freedom. Jesus said they needed to get ready for a quantum leap to freedom. Jesus promised recovery of sight to the blind. If there ever was a quantum leap universally appreciated by everyone on planet earth, giving sight to the blind is the most impressive. One second you are blind, and the next second you see. Jesus promised release for the oppressed. Say goodbye to your addictions and depression. Your time of oppression is over. It's time to make a quantum leap to wholeness. Jesus proclaimed the year of the Lord's favor. It was the year when the word impossible was banished from planet earth. It was the time when all things became possible for those who believed. It was the year of the Quantum Leap. Jesus had a backpack full of quantum beliefs that he liberally distributed to every person he met. He wasn't interested in making people feel better about their miserable condition. He was interested in making new people. It wasn't just a makeover. It was a whole new you with a completely new life. Jesus made it clear that quantum beliefs are for everyone, not just a select few. Religious leaders did not receive any special privilege denied to the common folks. Everyone is equal in the realm of quantum beliefs. His message of quantum hope was so simple that even children could understand it. Children were already experts at making quantum leaps, because they had not stopped believing. Jesus said that quantum leaps were for everyone. Nobody had an advantage in God's kingdom of love. Once people opened their heart and mind to God's love and dared to call him Father, it's almost as if Jesus was saying, "Let the quantum leaps begin." Every time Jesus talked with people in need, he reinforced his quantum message saying, "As you believe, so shall it be done unto you." Every deaf ear heard the words, "Your faith has made you whole." Withered hands and lame legs leaped to life when quantum faith took control. Quantum beliefs result in quantum expectations, and quantum expectations result in quantum change and a quantum life. But for quantum change to work, you have to take it personally. You have to put quantum beliefs in your mind, develop quantum expectations, take quantum actions so the quantum leap can happen. Once you have a mind full of quantum beliefs, it time for quantum expectations to work their magic. It's time to ask expectantly. It's time to seek expectantly. It's time to knock expectantly. While you are asking, seeking and knocking, you are not sitting on your hands waiting for good things to happen. You are working as if it all depends on you, and trusting as if it all depends on God. You are doing your part so that God can do his. Waiting expectantly will be the busiest and most challenging period of your life. You are training for your next quantum leap. You are running faster, training longer, and practicing harder because you need to be ready for when your next quantum leap comes your way. Jesus came to planet earth to change our expectations about what is possible. Until Jesus came, the blind, the poor, the prisoners, and the oppressed lived without hope. Low expectations and negative expectations controlled their lives. Blind beggars lived in the Land of No Hope. It wasn’t the blind man who was blind; it was the crowd that could not see and could not sense hope. They knew there was no hope, and they would silence anyone who disagreed. Extinguishing hope was their specialty. Jesus had a sixth sense that the crowds didn’t have. He could sense hope and positive expectations even in blind beggars. The crowd could not shout Jesus down or keep him from his mission. Jesus came to fan the flames of hope inside the human heart until it became a burning fire that could not be quenched. Jesus stopped in his tracks and ordered that the blind man be brought before him. A gasp went up from the crowd. What was Jesus doing? Didn’t he know that there wasn’t any hope? Jesus probed the heart and mind of the blind beggar and discovered hope that no one else could see. He asked a simple question. “What do you want me to do for you?” What are your expectations? After all, it doesn’t matter what all these people think and expect. It’s your expectations that count. Jesus said, “Receive your sight; your faith has healed you,” and instantly the man received his sight. Jesus didn’t say, “My faith has healed you.” He made it clear that it was the beggar’s faith, his positive expectations that made the miracle come to pass. The answer is still the same. It’s your faith that will heal you. It all comes down to your expectations. Faith still works miracles in your heart and mind. God makes miracles happen when positive expectations rule. Jesus came to light the fire of hope in your heart. He came to fill your heart and mind with positive expectations. When you get in agreement with God, positive things happen. Your old life passes away, and all things become new. What do you want God to do for you? What are your expectations? Expectations are the gravity of the moral universe. They are the overall governing force that will not and cannot go away. Until your expectations are right, good things will not happen. Beliefs start the ball rolling and expectations determine whether it goes anywhere. Billions of people try to wish their new life into existence, but nothing good happens, and they don't understand why. The reason is simple. Wishing and wanting are powerless in a universe ruled by expectations. It doesn't matter how bad you want something, or how much you wish something would come true, you don't get what you want and wish. You get what you expect. The law of the moral universe is simple, "As you expect, so shall it be done unto you." Expectations express themselves in may different ways. On the front end, you express them by the way you ask, seek, and knock. That is why Jesus said, "Ask and you shall receive, seek and you shall find, knock and the door shall be opened." You must ask expecting that good things are going to happen. You must seek expectantly in order to find. You must knock expectantly and step through the door when it opens. Michael Jordan once said that in basketball, you miss every shot you do not take. The Bible says that you have not, because you ask not. If you are living in Nowhere Land, it's because you have not been asking expectantly, you have not been seeking expectantly, and you have not been knocking expectantly. If you do not go after what you want, you will never get it. If you don't ask, the answer will always be no. If you don't move forward, you will always remain in the same place. People who ask, receive when they have positive expectations. People who don't ask, don't receive because their expectations are working against them. When you get in agreement with God, then you are thinking the way that God thinks. You need to understand how God thinks so that you can get in agreement with him. God is the God of the possible. Impossible is not found in his vocabulary, and impossibility doesn’t exist in his universe. Everything is possible when you think the way God thinks. God is the source of all good things. All that you are or have comes directly or indirectly from him. There are no shortages in God’s kingdom of love. Everything that you need to live an abundant life is already present and available for those who think as God thinks. God thinks abundance. Jesus said that he had come so that you might have life and have it more abundantly. God created the world and everything in it. What you need is no big deal to God. Supplying your needs won’t break his bank or bankrupt his kingdom. God enjoys giving you good things. His plan is to fill your cup with blessings until it runs over. God thinks positive expectations. When you get into agreement with God, your expectations change. Impossible becomes possible, and scarcity becomes abundance. God has a powerful positive plan for your life. God expects good things to happen in your life when you think the way that He thinks. God thinks forgiveness. God forgives you for the wrong things you have done. He not only wipes the slate clean, He also throws the slate away. You can trust God. If you do your part, God will do his. When you get in agreement with him, when you think the way that He thinks, then God starts working miracles in your life. God already knows what you need even before you ask. God wants to give you good things even more than you want to receive them. But first you must ask. Jesus said, “Ask and you will receive.” Asking simply recognizes that God is the source of all good things, and that He can be trusted to provide. 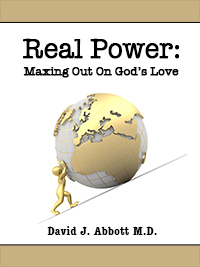 Outsourcing doesn’t exist in God’s kingdom of love. All of us need to be reminded that God is our source. God will give you what you need unless you block him. There are no shortages in God’s kingdom. If you aren't getting what you need, it's because of lack of faith, lack of trust, and lack of positive expectations. God is a God of abundance, and when you get in agreement with him, when you trust him to supply your needs, when you have positive expectations, then the windows of heaven open, and blessings fall all around. When Jesus arrived at the house, Jesus saw a commotion with mourners crying and wailing loudly. Jesus said, “Why all this commotion and wailing? The child is not dead but asleep.” The mourners laughed at him. Jesus entered the child’s room, took her by the hand, and healed her. Jesus gave us the pattern for dealing with the challenges that we face. First, when we overhear naysayers and negative thinkers reciting their litany of limitations, we are to ignore their message. Don’t listen to people shackled by disbelief who want to drag you down to their level. Nothing good comes from listening to negative thinking. Second, no matter what happens, we are not to give in to fear. Faith and fear are mutually exclusive. You must choose one or the other. Which will it be? Faith or fear? Jesus said that all things are possible to him who believes. Are you going to listen to the voice of fear, or to what Jesus says? All things are possible when you ignore fear’s limiting voice. Third, we are to believe and place our faith in God who is the source of our life. It’s never over until God says it’s over. Leave the punctuation of your life up to God. Until God puts a period on your adventure with him, faith must rule your days. Impossible is not in God’s vocabulary, and it shouldn’t be in yours. Fourth, don’t let the laughter and mocking of disbelievers discourage you or stop you in your tracks. If you do that, you will be listening to the wrong thing. Instead, listen to God’s voice of possibility and love. God has a purpose and plan for your life that is better than anything you can imagine. There is no limit to how good your life can become when you open your heart and mind to the power of his love. Your destiny is to have the last laugh, and that laugh will last for eternity. 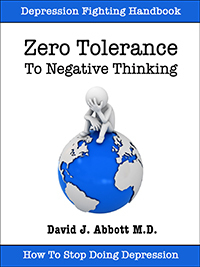 Dr. Dave is the Positive Thinking Doctor with more than 200 positive websites in cyberspace. If you want to learn how to become a positive person, pay a visit to the Positive Thinking Doctor. 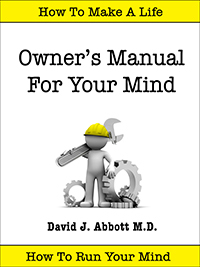 At the Positive Thinking University, your mind is always under construction. Isn't it about time that you got a new way of thinking and feeling? Visit Positive Thinking University.